Find it products challenge the traditional thinking and bring smart design improvements to help you work easier work smarter! whether you Love to work and want to do it more efficiently or you prefer not to work and just want to get the job done, find it products will help you get there quickly. 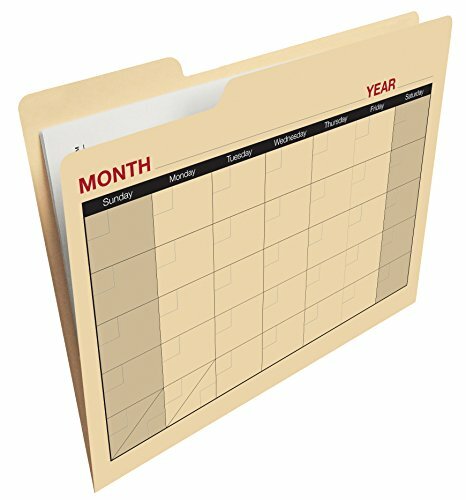 The find it calendar file folder allows you to keep your notes and any accompanying information together in one place! each file folder doubles as calendar page. The interior is ruled to allow additional note- taking. Comes in a 12 pack and features strong manila construction. Find it represents outside of the box thinking brought to traditional office supply categories and serves as a reminder that there is always room for innovation! if you don’t want to lose it find it!